New web hosting orders receive 50% off any new A Small Orange web hosting plan. 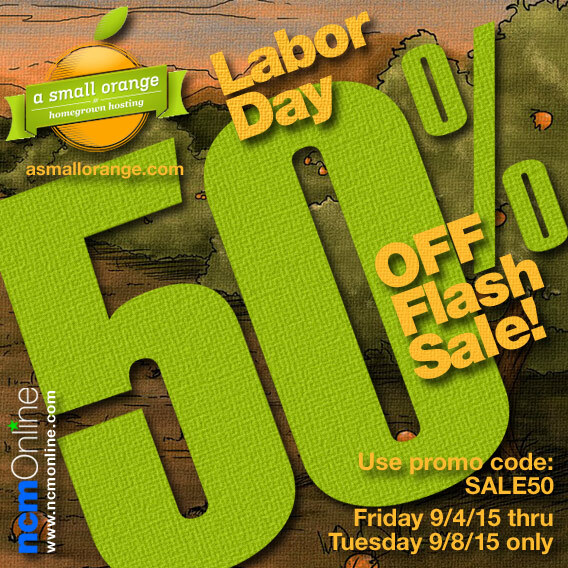 A Small Orange is giving the largest discount of the year with the Labor Day Super Sale! They are offering 50% OFF All New Hosting Plans the entire weekend. Use promo code SALE50 in your cart when you order. September 4th at 12:00am CST until September 8th at 11:59pm CST.